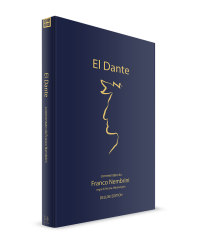 Franco Nembrini’s most important books (Di padre in figlio, Dante poeta del desiderio, Miguel Mañara, and Pinocchio) are currently being translated into English. They will be available for purchase in 2019. 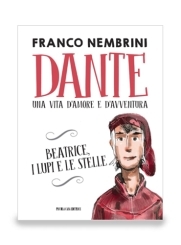 Franco Nembrini, since years ago, tells all around Italy, lessons about Dante and the Divine Comedy. At the end of one of them he met Gabriele Dell’Otto, one of the world’s most important illustrators who works for the american Marvel and DC, superheroes’ publishing houses. It was born this way a project that is also a dream. Painting and commenting the Divine Comedy in order to give it back to the people. 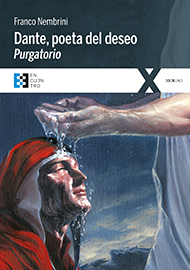 After the introduction by Alessandro D’Avenia, each “canto” has a commentary written by Franco Nembrini, the original Dante’s poem with a paraphrases and a reproduction of one painting by Gabriele Dell’Otto. A huge project that will continue with Purgatory and Paradise. The journey proposed here endeavors to answer, together with Dante, the following question: “Is it possible for us to face the difficulties of living and the work that we have to do – which will always be a struggle – in a dignified way?” Here we find a convincing and authentic answer, given to us through a reading and interpretation of The Divine Comedy and an introduction to three real-life stories, which are as different one from the other as they are all connected to the same yearning for goodness and beauty. 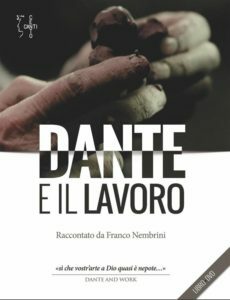 With this book—published after the success of theTV show that Franco created for Tv2000—Nembrini sets himself in the illustrious tradition of Vittorio Sermonti, Roberto Benigni, and all those who have attempted to free Dante from the closed boundaries of the Academy. 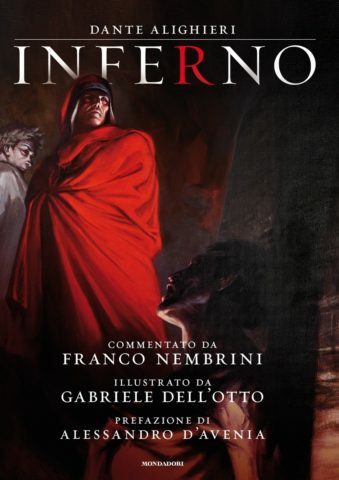 By offering us an accesssible and attractive interpretation of Dante’s texts, Nembrini allows Dante to guide us through an immortal trip across Inferno, Purgatorio, and Paradiso, helping us to discover once again the timeless beauty of the greatest book ever written. With English, Spanish, Russian, French, German, and Italian subtitles. This is a televised journey of self-discovery through the Divine Comedy, in four episodes. 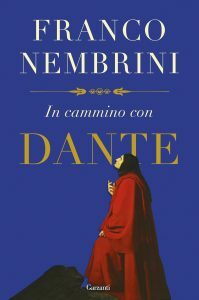 Franco Nembrini’s commentary shows—in a direct, lively, and personal way—that Dante’s journey through Inferno, Purgatorio, and Paradiso is actually everyone’s journey in search of his or her true self, and of the only thing that can answer the desire for happiness that inhabits our hearts. 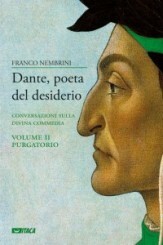 This is the first of three books in which Franco Nembrini, by giving a passionate and exciting commentary on Dante’s Inferno, helps the reader to travel along with the poet on his journey, in order to discover that the essence of life is desiring the infinite—reaching out toward the stars. The Purgatorio is the canticle of forgiveness, of tenderness toward oneself. It is the canticle of the present, of time and space, of the path and extended work that man has to go through in order to become faithful to himself, in order to be what—deep down—man has always been: pure desire. Dante answers the question that we all have: is it possible to start over? Is it possible to be born again? In the Paradiso we reach the end of a journey to the truth of life, during which Dante never—not even for a moment—leaves behind his reason or passions. The closer he gets to seeing God, the stronger his desire becomes—his human, existential, carnal desire to understand, to be happy, and to be useful to himself and to the world. Who says that Dante is boring? 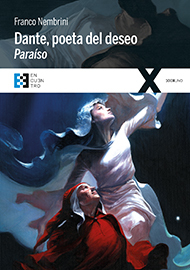 750 years after Dante’s birth, Franco Nembrini presents him to us as the most contemporary of all poets. He retraces the most significant events of Dante’s extraordinary journey, accompanying them with verses written by the poet himself and lively illustrations. Through the words of the Florentine poet and of Nembrini, children will be fascinated by a person who speaks their same language: not ancient Florentine, but the universal language of the heart. In Spanish the adjective dantesco describes something obscure and frightening. After reading the Italian version of this text by Franco Nembrini, some Spanish friends decided to translate it, in order to give back to their land and their language the true meaning and message of the Divine Comedy. 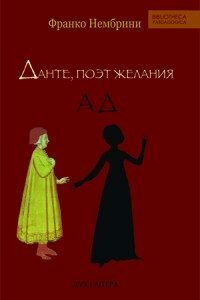 This project grew out of Franco’s friendship with a group of teachers and educators in Kharkov, Novosibirsk, Moscow, and Kemerovo, who, wanted to make known the beauty of Dante’s Comedy in their respective countries by translating Franco’s books into their own language. 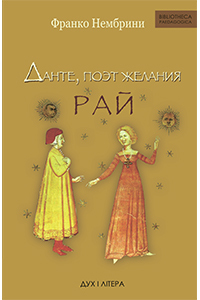 This project grew out of Franco’s friendship with a group of teachers and educators in Kharkov, Novosibirsk, Moscow, and Kemerovo, who wanted to make known the beauty of Dante’s Comedy in their respective countries by translating Franco’s books into their own language. 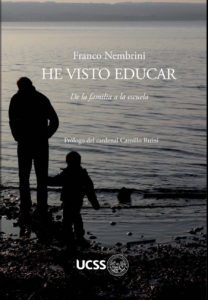 Education is a vocation for Franco Nembrini, who is a teacher, family man, headmaster of a school, and point of reference for thousands of adolescents. The book Di padre in figlio [From Father to Son] collects some of the countless talks that Franco has given over the years, in a variety of different contexts, reflecting on Fr. Luigi Giussani’s fundamental text on education, The Risk of Education. 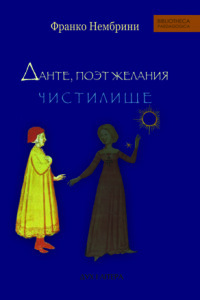 The Russian edition of Di padre in figlio is the first foreign-language translation of a book by Franco Nembrini. As with all of his publications, this project was not the result of a marketing strategy, but rather the fruit of friendships and relationships with teachers, educators, and schools in the Russian-speaking world—from Kharkov to Novosibirsk, and from Moscow to the distant Kemerovo. After the Russian-speaking world, Franco Nembrini’s text on education reached the Spanish-speaking one. 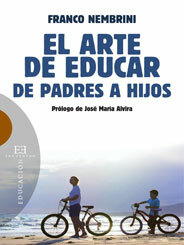 This edition includes an important Preface by José María Alvira, General Secretary of the Association of Catholic Schools of Spain. This edition was an answer to a request coming from friends from Perù and other Latin American countries to make Di padre in figlio available to all those who live overseas. The Polish translation of Franco Nembrini’s book Di padre in figlio. Once again, this edition was the fruit of the relationships that Providence has allowed Franco to establish around the world. 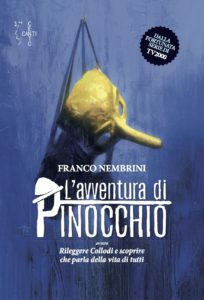 Taking an intuition of Cardinal Giacomo Biffi seriously, in this book Franco Nembrini offers a re-reading of Carlo Collodi’s Pinocchio from beginning to end. Franco argues that the ups and downs of Pinocchio’s life put in front of us all the facets of the radical drama of life—fatherhood, running away from home, wounded freedom, and the encounter with potential salvation—just as the Christian tradition has always conceived them. 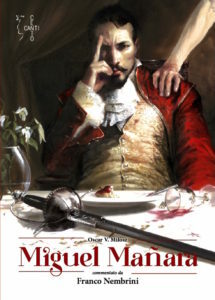 Don Miguel Mañara, a young Spanish nobleman, has all the women he wants, and yet feels unsatisfied and unhappy. By meeting Girolama, Miguel discovers what his heart truly desires, and he marries her. Thus, a new life begins for him. Shortly after, however, Girolama dies. The experience of grief forces Miguel to get to the essence of his desire. Franco Nembrini offers a commentary. 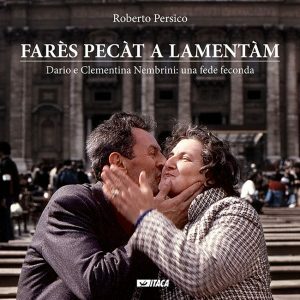 This book tells the story of the Nembrini family, born of the encounter and the love between Dario and Clementina, Franco’s parents. It is an account of authentic faith, and a witness to courage and joy that, even today, has a lot to teach us.